Visibly reduce the appearance of deep wrinkles and furrows for firmer looking and more luminous skin. 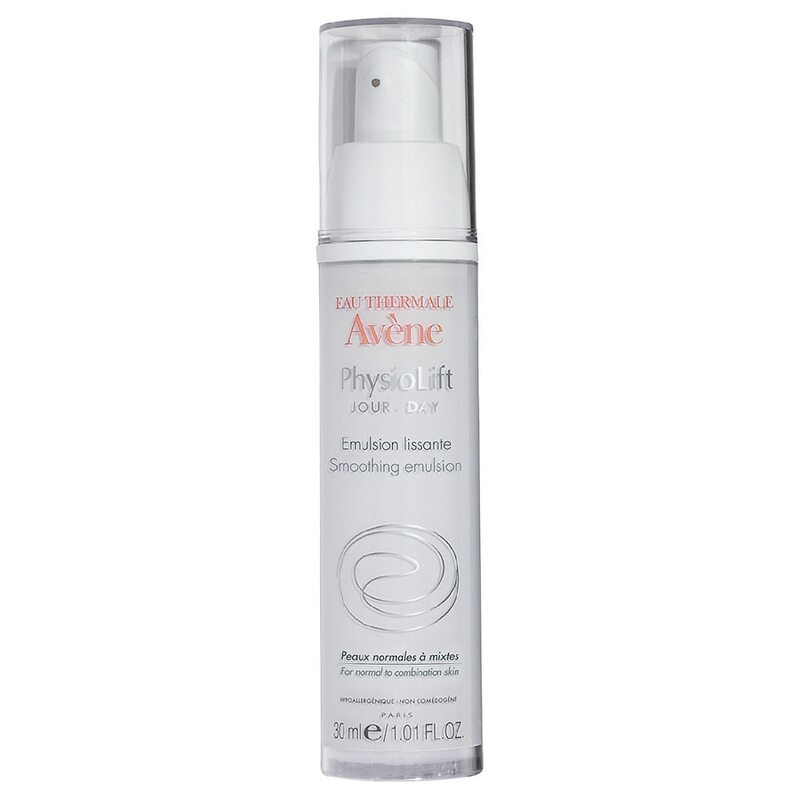 PhysioLift DAY Smoothing Emulsion is formulated with a patented combination of Ascofilline™ to moisturize and replenish collagen in the skin, Hyaluronic Acid Mono-Oligomers (at the optimal molecular weight of Hyaluronic Acid to penetrate into the skin) to visibly plump and firm and Pre-tocopheryl for powerful anti-oxidant protection. Skin is left soft, supple and matte. For normal to combination skin. For external use only. Avoid contact with eyes. If eye contact rinse with water. Helps reduce the appearance of deep wrinkles and furrows. Provides softness and suppleness with a matte finish. For normal to combination skin.